Another Free Show this Sunday, Sept 15th at Bronson Rock! Come on for another rockin' show with us this Sunday! this Sunday, Sept 15th 2-6pm! Another fun Student Showcase for your friends, neighbors, and grandpa's to see our Band & Artist Development students rock your ears off. Highlighting what our students have been working on in their classes, this show will include performances from our Student Band Tour students & Artist Development students. Our Band Tour students are not only learning what it takes to be in a Band, they are performing around the DFW/Fort Worth Area with up to 12 "tour stops" a year! Alongside them, are our Artist Development Students, honing their craft, through additional monthly consults for extra guidance with periodic stops on the Band Tour's performance wagon! We are so proud of our student's progress, and invite your friends, family, neighbors and grandma's to come out to this Free Show at Bronson Rock in Keller, Tx for this family fun afternoon of good music and company! 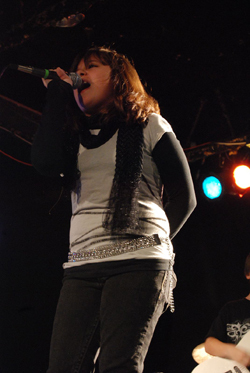 Student Band 101 - Learn in a group, make friends, & have fun! 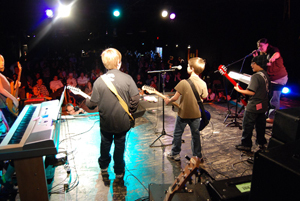 Student Band Tour - Amp it up with additional gigs & rehearsal space! Artist Development - Take your Private Lesson experience to the next level! See our Calendar for upcoming performance dates!